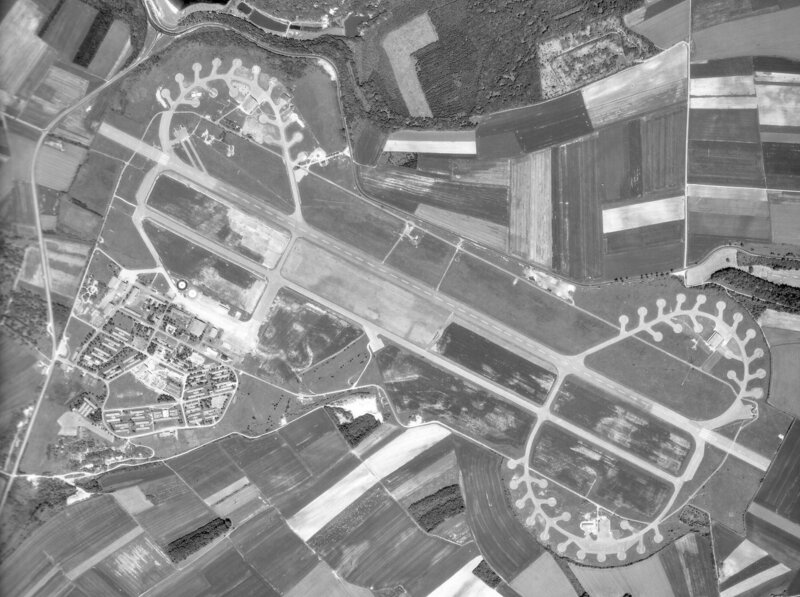 Aerial photo of the airfield at Marville - 1986. Larger image of the aerial photo of Marville - 1986. 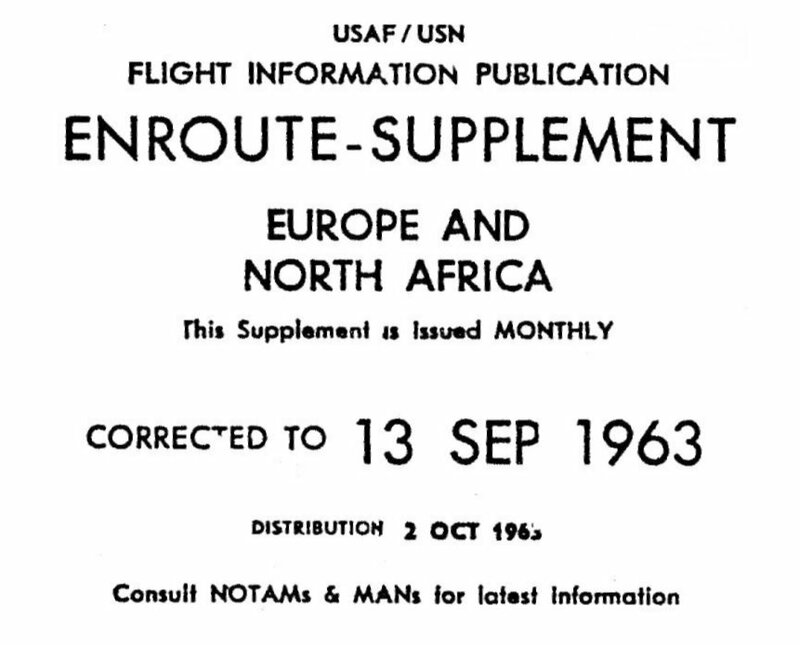 Enroute Supplement, cover page - 13 September 1963. 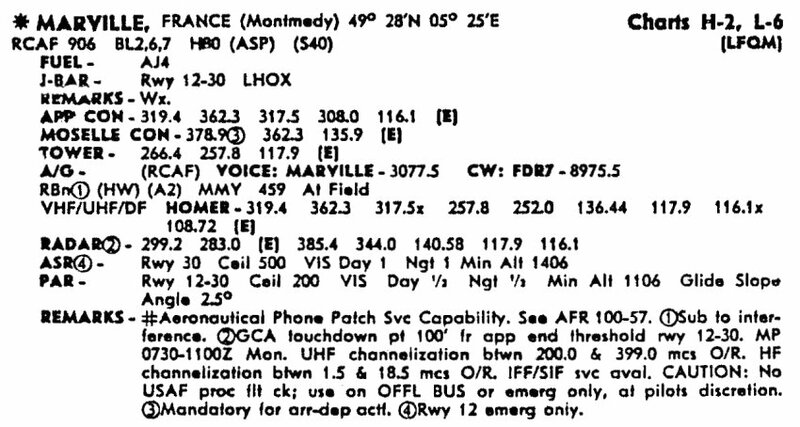 Moselle Control detail - 13 September 1963. 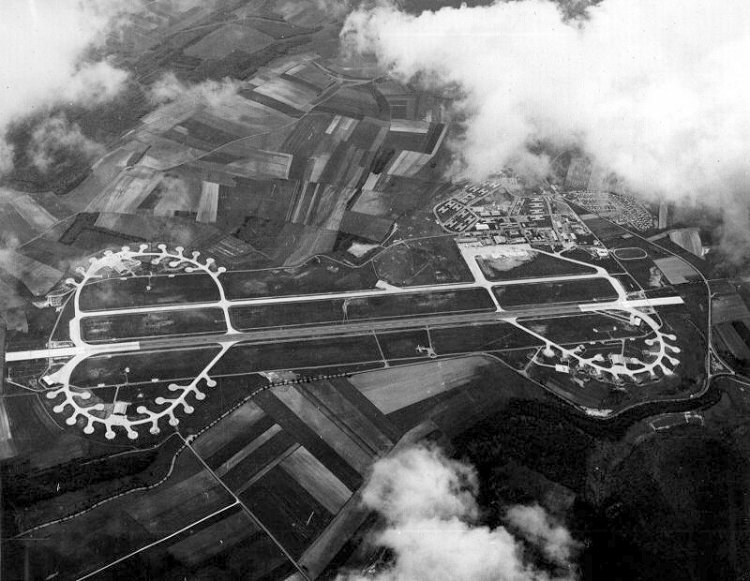 Marville aerodrome detail - 13 September 1963. FLIP Chart. 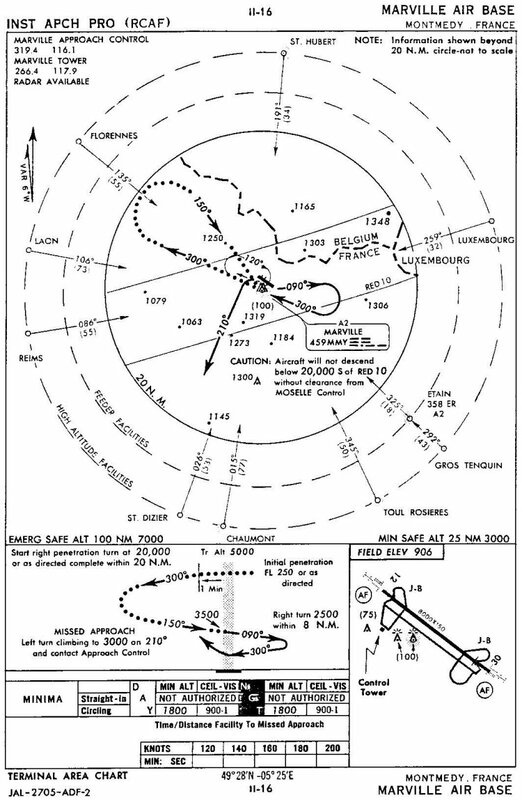 High Altitude ADF-1 Approach - 13 September 1963. FLIP Chart. 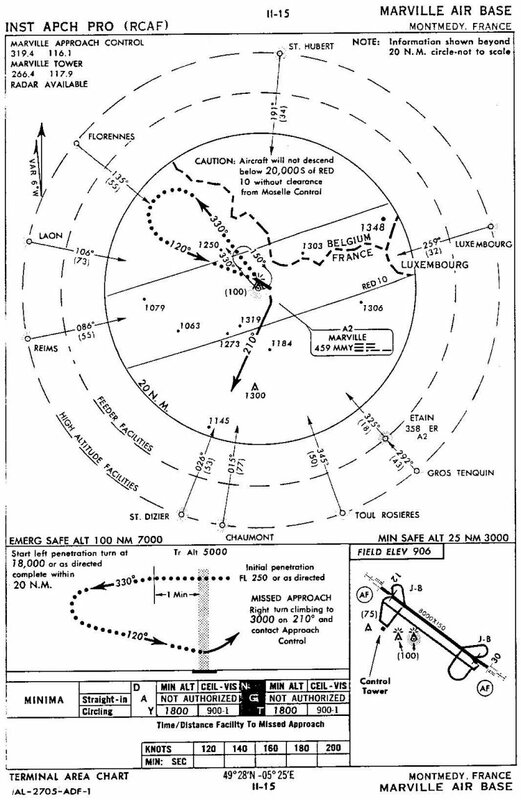 High Altitude ADF-2 Approach - 13 September 1963. FLIP Chart. 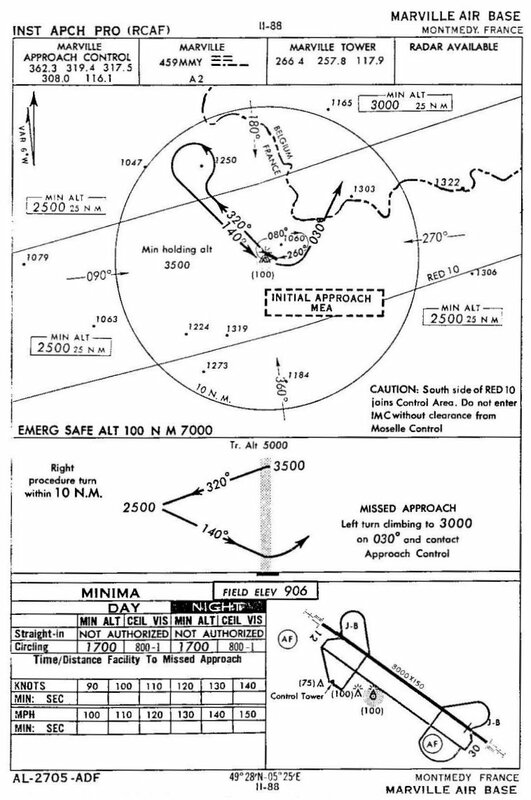 Low Altitude ADF Approach - 13 September 1963.